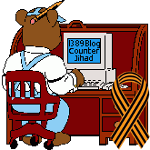 Wordpress — 1389 Blog - Counterjihad! 1389 Blog has passed its fifth blogiversary! Bare Naked Islam is back! Did CAIR Use Threats of Violence Against WordPress.com to Shut Down Bare Naked Islam? 1389 Blog Is Back Online!